These questions and many others will be answered in a few days’ time. Hooray! 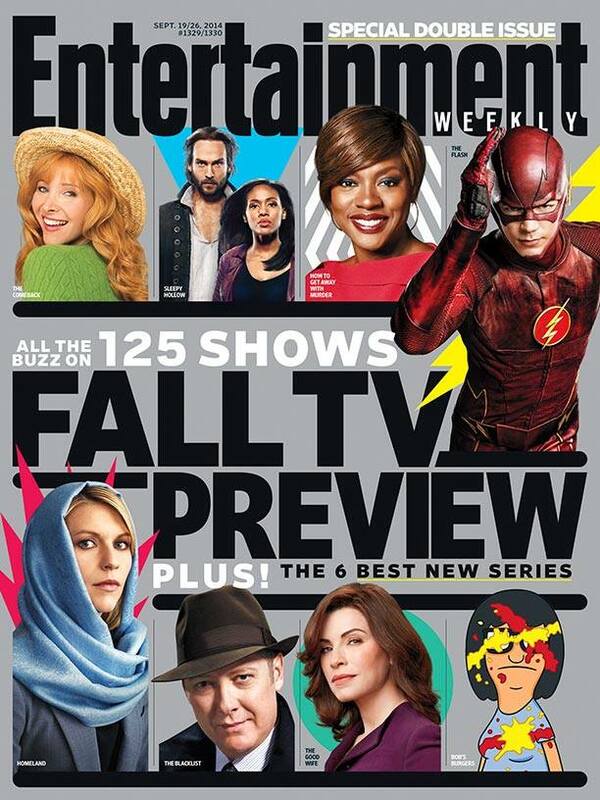 But seriously, all of the above leads me to the one big question I ask myself every year at this time, just as soon as the Entertainment Weekly fall TV preview issue arrives in my mailbox: What shows will I make an attempt to watch? With so many to choose from — returning favorites and new additions — my DVR is already busy. Add in a social life, and there just isn’t as much time in a single week to spend watching every possible show as I’d like there to be. Hard decisions will have to be made. The three-strikes rule applies this year, just as it has in previous seasons: If I fall behind on watching three episodes of any show in a row, chances are good I didn’t really want to watch them anyway, so they’re nixed from the queue. Full disclosure: I won’t end up watching every one of those shows. Check with me a month from now to see what series passes have already been nixed. (I expect at least one or two shows on Sunday to fall by the wayside, for example.) But as the new season starts, I’m looking forward to seeing my TV friends again and at least trying to make some new ones. What shows are YOU most looking forward to this season? Are there any I should add to — or remove from — my list? Share your thoughts in the comments section below!